Including: Baptism, Thanksgivings, Weddings, Funerals, Bereavement and our remembering service. Celebrating the gift of a child through Baptism or Thanksgiving. We are delighted to be in a position to welcome families in giving thanks for new life. Preparing for a service to celebrate the gift of a child can take a bit longer than you might expect. First of all we will arrange a Sunday when we can meet you at church. We will go through the details with you at that point. Once everything has been sorted out we will be able to book a date with you. There is no charge for baptisms or thanksgivings. Most of those being baptised or blessed are normally from the parish of Hurdsfield or are part of the HTH church family. We do sometimes take services for those from outside the parish that have particular links to the church. On such occasions you will also need to approach the vicar of the parish where you live for permission for the baptism to take place. This would usually be a formality and we can help you with this. If you need to know which parish you live in, go to www.achurchnearyou.com and put in your postcode. Baptism services include some serious promises and families often decide to have their baby blessed at a Thanksgiving service instead. We are very happy to discuss the possibilities with families. Baptisms and Thanksgivings are normally held at 1.00pm on Sundays, or during the 10.30am service. For more information or to make an enquiry about arranging a baptism or thanksgiving, please contact the Church Office. We welcome enquiries from couples wanting to get married at Holy Trinity. We can usually arrange weddings in church where at least one of the couple has a home in the parish or there are strong links with the church. If you need to know which parish you live in, go to www.achurchnearyou.com and put in your postcode. For more information or to make an enquiry about getting married at Holy Trinity Hurdsfield, please contact the Church Office. We have held services in the summer for adult Baptism, using an outdoor pool situated on the grass beside the church. This is followed by a celebration lunch for the whole church family. We regularly take funerals (either in the church or at the local crematorium) where the deceased was resident in the parish or had particular links with the Church. 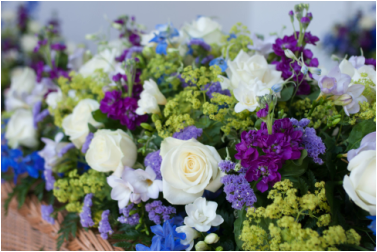 Funerals are usually arranged through a funeral director, but for further information please contact the church office. For more information or to make an enquiry about having a baptism or Thanksgiving, please contact the Church Office. Our Bereavement Team contacts bereaved people to offer support and help a few weeks after the funeral. Our team of visitors offer their time, a listening ear and other support, including prayer if this is wanted. Visits can be “one offs” or regular visits over a period of time, whichever best suits the bereaved person. 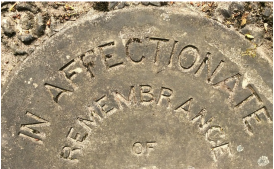 We also invite bereaved people to come to the Remembering Service. As well as our Remembrance Service we hold a Remembering Service every November to which we invite those who have been bereaved in the past few years, although some who come were bereaved many years ago. This is a service for the bereaved and their families. It is held on the Sunday after Remembrance Sunday and is a quiet reflective service bringing comfort and peace.